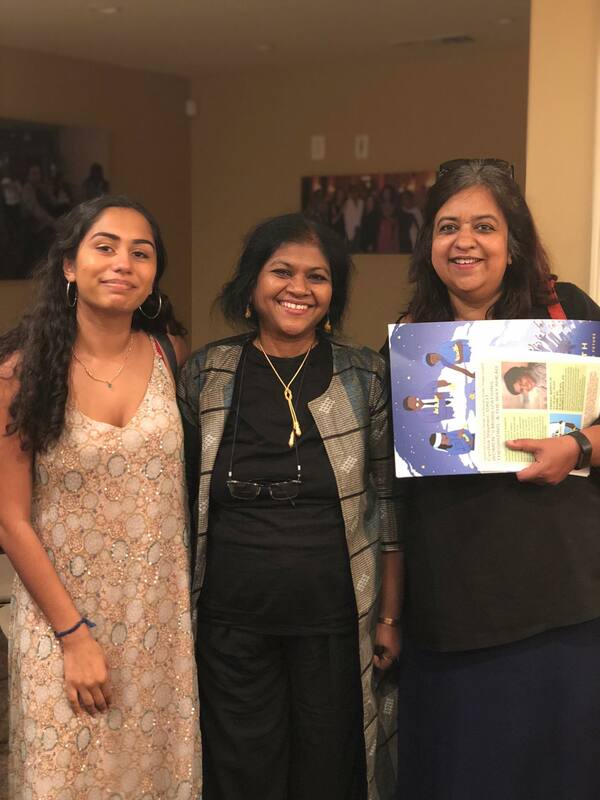 SAALT is the only national, staffed South Asian organization that advocates around issues affecting South Asian communities through a social justice framework. SAALT’s strategies include advocating for just and equitable public policies at the national and local level; strengthening grassroots South Asian organizations as catalysts for community change; and informing and influencing the national dialogue on trends impacting our communities. To learn more about SAALT, please visit www.saalt.org. What is the Young Leaders Institute? 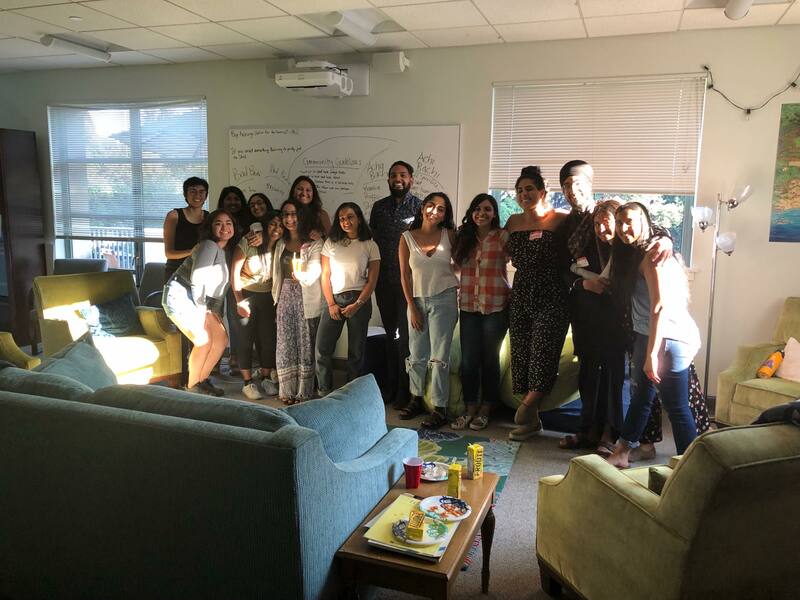 SAALT’s Young Leaders Institute is a unique opportunity for 15–20 young leaders in the US to explore issues that affect South Asian American communities; engage in peer exchange; hone leadership skills; and learn strategies and approaches to social change. The 2017–2018 Institute will be the sixth time this annual leadership development program will be hosted by SAALT. Who can apply for the Young Leaders Institute? U.S. undergraduate students and other young adults 17–22 years of age interested in creating change among South Asian Americans on their campuses or in their communities. SAALT welcomes applications from young leaders who are not enrolled in academic institutions. We also accept applicants from all types of academic institutions including universities, colleges, community colleges, vocational trainings, etc. Applications of young adults who are older and/or in graduate school will also be accepted and considered. Why is the Young Leaders Institute important? SAALT is committed to the leadership development and support of young adults as agents of progressive change among South Asians in the US. The Institute encourages participants to explore their current leadership qualities, challenge themselves to evolve their leadership skills, learn from fellow young leaders, and commit to advancing social justice in real ways on their campus and in their community. What is the 2018–2019 theme? The 2018-2019 Young Leaders Institute theme is “Community Defense.” Since our last election cycle, communities of color across the U.S. have experienced an increase in anti-immigrant and racial violence. 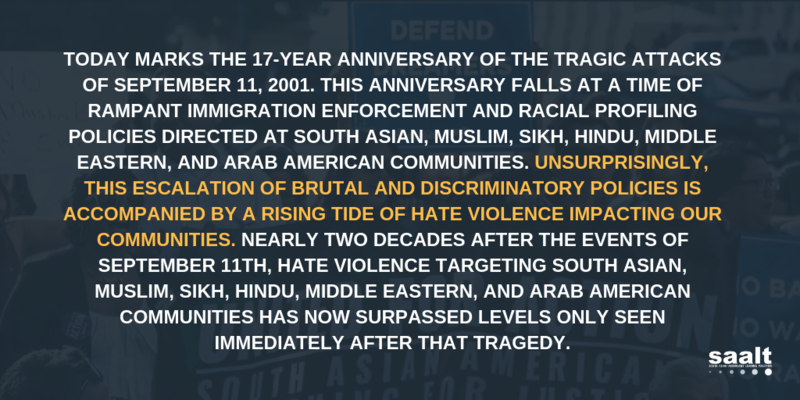 Policies have been enacted that remove Temporary Protected Status (TPS) for over 300,000 individuals, including Nepal; end the Deferred Action for Childhood Arrivals (DACA) program placing 800,000 young immigrants, including at least 23,000 Indian and Pakistani youth, in uncertain status; increased “silent raids” against immigrants; and ban immigration from several Muslim majority countries. The policies are fueled by as well as encourage violence against those most vulnerable to their impact, particularly South Asians. As we enter the midterm election cycle, our communities are expected to experience a surge in anti-immigrant policies and hate violence. Those most vulnerable within the South Asian community include working class, undocumented, Muslim, Sikh, and caste oppressed groups. It is imperative to learn from our experiences of not just the past election cycle but the long standing history of racism and xenophobia in the U.S. We must create community defense systems through civic engagement that at the heart protect our community from harm and deportation from this country. It must anticipate needs as well as incorporate long term and short term offensive strategies. The 2018-2019 cohort will identify strategies and craft projects to support those highly impacted at their academic institutions and/or local South Asian communities. We encourage projects that center and uplift undocumented, working class and poor, Muslim, Sikh, and caste oppressed groups. All projects should also incorporate a civic engagement and social media campaign component. The Institute theme folds in a critical civic engagement component. Civic engagement is defined for the current purposes by an interest and willingness by individuals, residents, and constituents to engage with decision-makers, stakeholders, and peers (appointed and elected, campus-based and external) as well as decision-making processes to make their voices, opinions, and priorities heard. Civic engagement is not limited to or predicated upon activities or efforts that involve voting or the voting process, or U.S. citizens (who are generally, apart from some exceptions, the only individuals who can vote in the U.S.). At its essence, civic engagement is defined as individuals who choose to organize themselves and others toward collective action to weigh in, engage, and voice their opinions on how to address pressing issues that need to be improved, replicated, or addressed in their community. For the purposes of campus-based projects around addressing and building community defense systems in South Asian and campus communities, civic engagement can involve a variety of actions. Please note, the following are examples only. Applicants are encouraged to submit their own innovative and creative project ideas, including but not limited to projects that promote civic engagement through art! Organizing students to partner with local community-based organizations on problematic local, state, or national policies criminalizing immigrants and people who are undocumented. Building coalition with student organizations of color to establish an Equity Advisor position in student government that works with the administration to create and implement equitable policies and practices on campus. Raising concerns with the campus administration and shifting institutional practices and campus police compliance with policies that disproportionately target immigrants and people who are undocumented. Train student organizations to support immigrant and undocumented peers in crisis and build campus coalitions to support institutional culture change. Organizing a speak-out for students to voice how they see anti-immigrant and xenophobic practices & sentiment manifest on their campuses and in the actions of administrators. Organizing letter-writing or postcard campaigns in support of incarcerated immigrants, particularly those detained by Immigration and Customs Enforcement (ICE). Hosting forums/ town halls for campus community members to share their experiences of academic institution policies that are anti-immigrant and discuss how to advocate for change. Advocate for and establish a support center for immigrant and undocumented students. Create a campus wide artistic display that addresses an anti-immigrant policy specific to your institution. Note: Competitive applications will reflect detailed project proposals that include identifying campus or community groups that work with South Asian and/or other marginalized immigrant populations and develop a strategy for a civic engagement project in collaboration with that group. How does the Institute work? What is your graduation policy? Participants must be able to commit to and fulfill all above requirements in order to graduate from the Institute. Participants who complete all requirements will be considered 2018–2019 Young Leaders Institute Fellows and have the opportunity to further engage with SAALT’s work. SAALT recognizes that many young leaders have work, family, and other important obligations that may be connected to income, health, and so forth. SAALT is committed to working with each young leader accepted into the program to support their fulfillment of commitments or to work together on alternatives in the event of extenuating circumstances. Why do I want to be a 2018–2019 Young Leaders Institute Fellow? How does the Institute support diversity? The 2018 Institute encourages applicants diverse in ethnicity, country of origin, immigration status, socioeconomic status, caste, sexual orientation, gender identity, ability, and religion. How much does this cost? What does SAALT provide? Round trip air, train, or bus fare to the July 25-27 on-site training. Mode of transportation will depend on your departure point and will be chosen by SAALT (round-trip fare is restricted to traveling from a city to DC and returning to the same city). How do I apply? What is the application deadline? Interested applicants should review information about SAALT, the Institute, and complete an application. Submit completed applications to Almas Haider at almas@saalt.org by May 29th, 2018. Only final candidates will be contacted directly. If you have any questions regarding YLI or your application before May 25th, 2018, contact almas@saalt.org or 301.270.1855. What does a competitive application look like? An interest in effecting progressive change on a college campus or community. Reflect a commitment to building community defense systems through civic engagement in the South Asian American and ally community. Include ideas about realistic, scaled projects to enact this change and have the initiative, commitment, and resourcefulness to implement those ideas. Include a social media campaign and/or component in their project plan. A willingness to share experiences and learning from trainers and peers. Seek to connect their projects with a member organization of the National Coalition of South Asian Organizations (NCSO) wherever possible. SAALT does realize that because capacity and South Asian populations vary greatly across the country, an NCSO organization may not be in or near an applicant’s city of residence and will take this into account. Application for the 2018-19 Young Leaders Institute is now closed. Check back for more updates soon.